A new senior research position has also been announced, funded by the Calleva Foundation. In the past, human evolution research at the Museum has focused on the last one million years of our history. Recent discoveries include evidence along the Norfolk coast that early humans were present in northern Europe more than 0.78 million years ago. 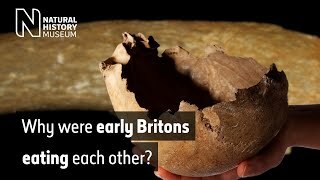 Researchers also found the earliest widespread occurrence of tooth decay in modern humans, which was found in hunter-gatherers from Morocco, and the surprising genetic makeup of the modern human skeleton from Gough's Cave, known as Cheddar Man. Many of these projects received support from the Calleva Foundation. Now a new donation from the Foundation will fund key work of the newly established Centre for Human Evolution Research (CHER). Professor Fred Spoor joins a multidisciplinary team of human evolution specialists in the role of Calleva Research Leader. Prof Spoor studies human evolution in eastern Africa from about one to four million years ago. In 2001 he was co-responsible for the discovery of a major new species, Kenyanthropus platyops, which lived between 3.3 and 3.5 million years ago in the Lake Turkana area of Kenya. Prof Spoor also explores our own lineage, the genus Homo, by studying fossils between 1.5 and 3 million years old, revealing the complexities of its origins and early evolution. CHER is within the Earth Sciences department at the Museum, led by Professor Richard Herrington. It will also include a new space for group meetings, scientific visitors and joint research activities. This will facilitate extended access to the Museum collections, as well as the growing digital collections, and will underpin the development of a programme for visiting scholars. Professor Ian Barnes leads the Museum's ancient DNA laboratory, which is among the largest in the UK. He and co-researcher and staff member Dr Selina Brace investigate the genomes of humans in Britain from the Palaeolithic to the Iron Age, including work on individuals from Gough's Cave, shedding light on ancestry, appearance and adaptation through time. Dr Silvia Bello studies the origins of modern human behaviour. She uses a range of sophisticated imaging techniques to analyse bone assemblages, aiming to recognise and interpret different expressions of human actions such as funerary behaviour (including cannibalism), butchery, manufacture and use of bones tools. Dr Heather Bonney is the principal curator of the Museum's anthropology collections which include modern human skeletal material, fossils of extinct humans and other primates, stone tools - as well as a large number of replicas of human fossils. Dr Louise Humphrey investigates patterns of growth and development in past human populations based on skeletal and dental evidence. Using evidence embedded in the structure and composition of tooth enamel, she reconstructs early lifetime experience, including diet and growth disruptions. She studies the biology and behaviour of the Palaeolithic populations of northern Africa, based on archaeological fieldwork and re-evaluation of existing archives and collections. Professor Fred Spoor studies early human evolution, mostly in Africa. He is affiliated with fieldwork projects in Kenya and Ethiopia, and most of his work is based on newly-found fossil skull and jaw remains. He uses advanced imaging techniques, such as CT scanning, to explore all aspects of these fossils, revealing how the brain, inner ear and teeth evolved. Professor Chris Stringer investigates the evolution of modern humans, Neanderthals and related species, highlighting the growing complexity of the story and the impact of genetic data. He directed the Ancient Human Occupation of Britain project, and now co-directs the follow-up Pathways to Ancient Britain project. Plan your visit the Museum's permanent, free Human Evolution gallery. Read more about Cheddar Man, the oldest complete human skeleton in Britain. Find out more about the Pathways to Ancient Britain project. TV presenter, author and academic Alice Roberts shares memories of the Museum and how it influenced her fascination with human evolution.